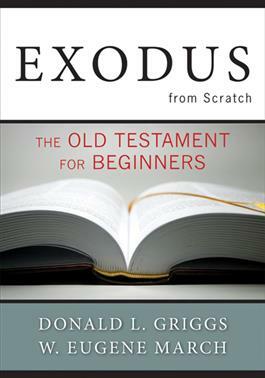 This new volume in the best-selling Bible from Scratch series pairs noted author Donald Griggs with biblical scholar and teacher Eugene March. Together they explore the book of Exodus--the story of the deliverance of God's people from slavery, oppression, and injustice. Rather than covering every chapter and verse in the book, Exodus from Scratch highlights stories that best reflect the major themes of Exodus: deliverance, abiding faith, and the goodness of God. Organized in seven chapters with seven accompanying lessons, this book will help readers and small groups more fully understand the book of Exodus and see the work of a God who desires justice, freedom, and faithfulness for all.